SGL Carbon is one of the world's leading manufacturers of products from carbon. 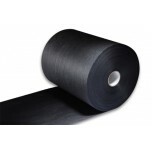 The company portfolio ranges from carbon and graphite materials to carbon fibers and composites. A broad base of materials, the deployment of the relevant technologies and many years of application and engineering expertise are the basis of the company's success. Sigracet 22 BB is a non-woven carbon paper gas diffusion media. It has a total thickness of..
Sigracet 25 BC is a non-woven carbon paper with a Microporous Layer (MPL) that has been PTFE trea..
Sigracet 28 AA is a non-woven carbon paper gas diffusion media that has no PTFE treatment. ..
Sigracet 28 BC is a non-woven carbon paper with a Microporous Layer (MPL) that has been PTFE trea..
Sigracet 29 AA is a non-woven carbon paper gas diffusion media that has no PTFE treatment. ..
Sigracet 29 BA is a non-woven carbon paper gas diffusion media. It has a total thickness of..
Sigracet 29 BC is a non-woven carbon paper with a Microporous Layer (MPL) that has been PTFE trea..
Sigracet 35 BC is a non-woven carbon paper with a Microporous Layer (MPL) that has been PTFE trea..
Sigracet 36 AA is a non-woven carbon paper gas diffusion media that has no PTFE treatment. ..
Sigracet 36 BB is a non-woven carbon paper gas diffusion media. It has a total thickness of..
Sigracet 38 AA is a non-woven carbon paper gas diffusion media that has no PTFE treatment. ..
Sigracet 38 BC is a non-woven carbon paper with a Microporous Layer (MPL) that has been PTFE trea..
Sigracet 39 AA is a non-woven carbon paper gas diffusion media that has no PTFE treatment. ..
Sigracet 39BC is a non-woven carbon paper gas diffusion media with a Microporous Layer (MPL) that..
Sigracet 39 BA is a non-woven carbon paper gas diffusion media. It has a total thickness of..